The growth in data traffic is being driven both by increased cloud and big data services. Data center managers are facing a challenge of gaining superior visibility of their networks, enhancing application performance, and ensuring integrity of the security system. Traffic access points (TAPs) which are accurate, reliable and OPEX-saving are the ideal solution to access the data and meet the demands on extensive visibility. 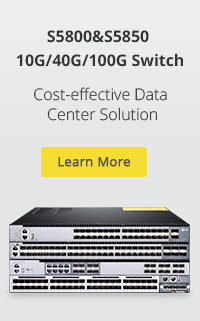 This post will show a typical 10GBASE-SR link including an optical cross-connect with an integrated 50/50 TAP Module. In today’s modern data centers, effectively monitoring and managing the data traffic is one of an important parts to evaluate the performance of data centers. Implementing TAP into the network for data collection and analysis enables data center managers to continuously and timely monitor the equipment and network which ensures rapid response time when problems are identified. TAP module is a commonly used component in data center. 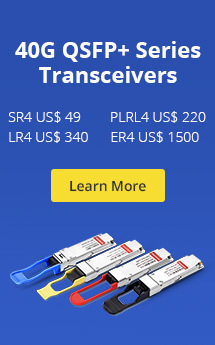 It is connected between two switch ports via LC or MTP patch cords, establishing an identical copy of the optical signal passing through it. TAP module, also called TAP cassette, or fiber TAP cassette, is generally a LGX cassette designed for TAP and patching applications. 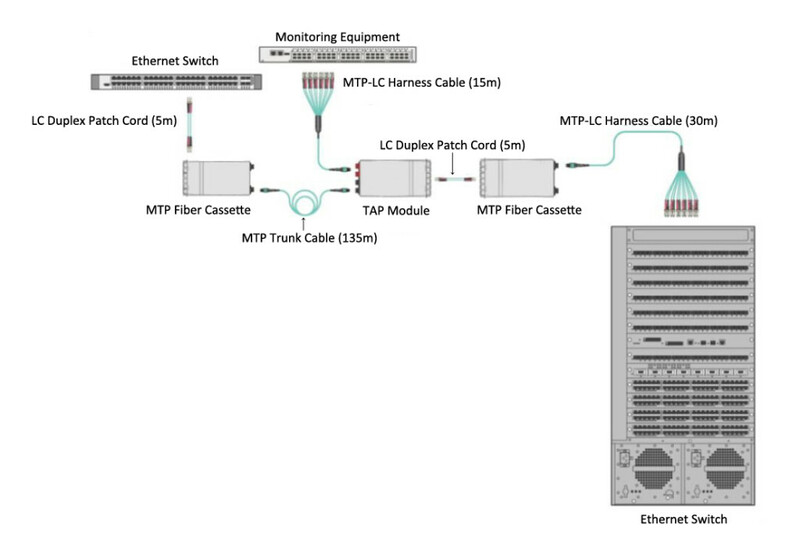 As the right side of the picture shown, the two MTP connectors (live port) provide two connections for serving the live traffic channels via trunk cables, and two MTP connectors (TAP) serve the TAP channels for connecting to monitoring equipment via MTP trunk or MTP-LC harness cables. And the front surface of the modules provides 12 LC-duplex ports for patching, as the left side shown. A 50/50 TAP module uses a 50/50 ratio which means 50% of the incoming light goes to the live port and 50% to the TAP port. A 50/50 TAP module is usually used between two given network devices such as switches, routers, and storage, providing network and security personnel a connection for monitoring. The picture below shows a typical 10GBASE-SR link including an optical cross-connect with an integrated 50/50 TAP module. TAP module is an ideal solution for data center managers to effectively monitor and maintain their network dynamic and data traffic. If you are still worrying about the complex data traffics monitoring, try to use TAP modules in your network. This entry was posted in Cables Management, MPO/MTP Cassettes and tagged data center, network monitoring, TAP modules. Bookmark the permalink.